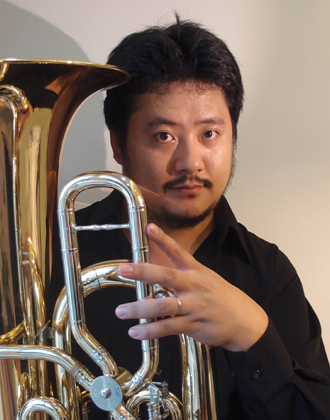 Tubist Hidehiro Fujita joined the Singapore Symphony Orchestra from January 2009 to January 2019. 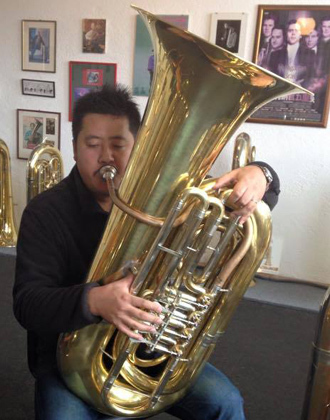 He started playing the tuba at the age of eleven and graduated with a Bachelor in Music at the Tokyo College of Music in 2000. Then he moved to Australia and studied at the Canberra School of Music in Australia National University from 2000 to 2001. After graduation, he studied by privately in USA, France, and Norway. 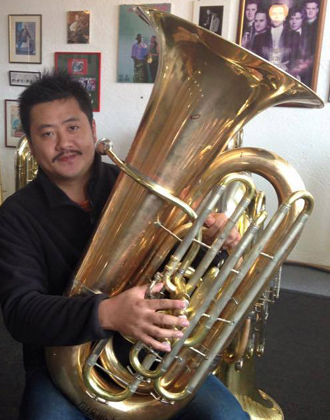 He worked as an active freelance tubist for many orchestras around the world. He has been offered engagements by the Israel Philharmonic and has performed with Maggio Musicale Fiorentino, Sydney Symphony, Hong Kong Philharmonic, Malaysian Philharmonic, Macao Orchestra, NHK Symphony and Saito Kinen Orchestra. He has performed with several renowned conductors including Zubin Mehta, Riccard Muti, Seiji Ozawa, Myung-Whun Chung, Edo de Waart and Alexander Lazarev. 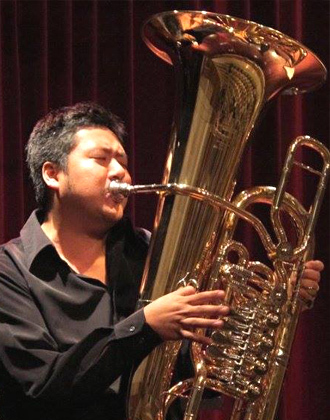 ​He has many of tutoring experience in worldwide, which is including Italian Brass Week, Berlin Conservatoire of Music, Josef Haydn Conservatory, Mahidol University, TubaMania International Tuba Festival, and Taiwan Winter Euphonium and Tuba Workshop. Hidehiro won several prizes in many major competitions around the world and has released some solo CDs.